I learned the hard way that the Samsung Galaxy S9+ is breakable. This dual-glass-sided phone is begging for some protection. 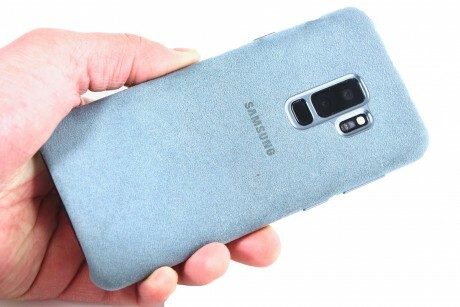 Samsung's Alcantara cases are generally well-regarded. 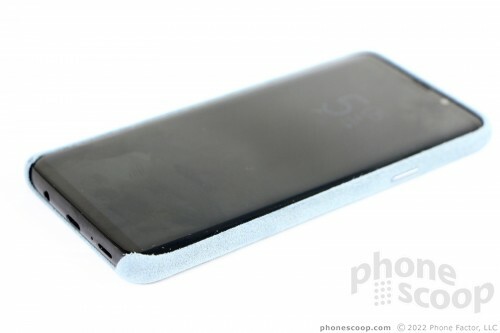 But the one they've made for the S9+ is perhaps more style than substance. At approximately $840, Samsung's Galaxy S9+ is a pricey investment. Many people will likely opt to pay it off over two years, so it's something you're going to want to take care of. Though I prefer to use phones in their natural state, the S9+ is not only expensive, its all-glass design is downright slippery. In this situation, a case not only adds protection, but helps keep the phone in your hand to begin with. 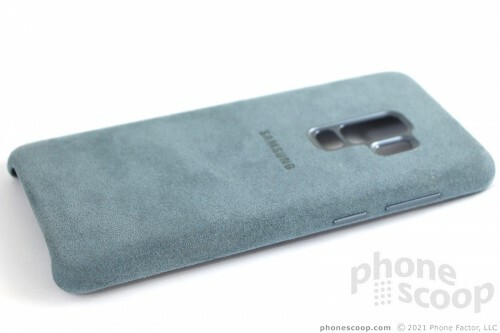 Samsung forged an Alcantara case for the Galaxy S9+. This slim case offers only the bare minimum when it comes to protection, but it is one of the best-looking and best-feeling cases for the phone. Alcantara is composed of about 68% polyester and 32% polyurethane. It's durable and stain-resistant. It looks and feels very much like suede. It has an organic feel that makes it hard to believe the material was cooked up in a lab. 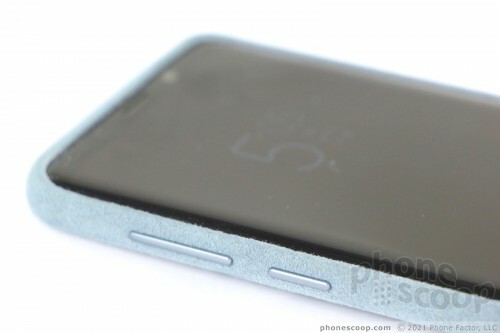 The case relies on a plastic core to create its shape and provide protection. 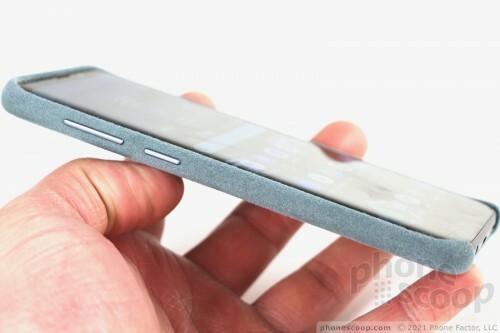 The Alcantara material is on the outer and inner surfaces of the case. 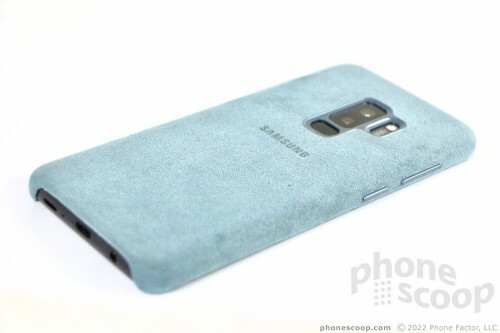 I like the idea of putting the phone into a case where it's lovingly comforted by the soft material. The case fits the phone perfectly. The case spans the entirety of the back surface, along with the top and side edges. 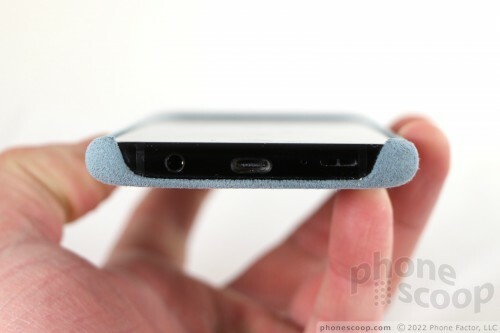 The bottom edge is about three-quarters exposed allowing access to the charging port, headphone jack, and speaker. Importantly, the case covers all four corners of the phone. The entire top edge of the case is raised, as are the two small sections that cover the lower corners. This means you can put the phone down on a hard surface face-first without worrying about scratching the screen. The case leaves enough room along the side edges so you can still take advantage of the S9+'s Edge Panel feature. Samsung improved the buttons. 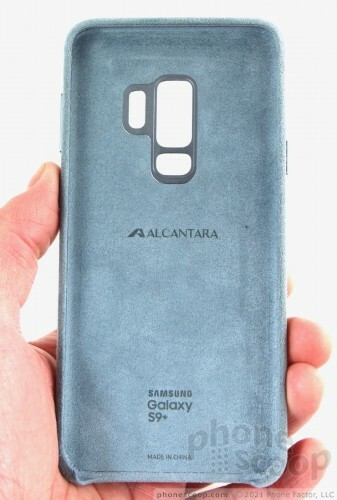 On the Alcantara case for the Note8, the side buttons were covered with non-distinct bumps. 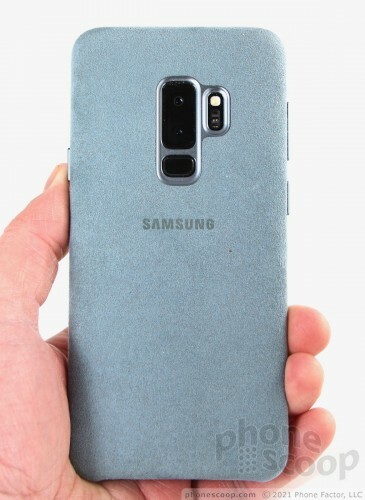 On the S9+ case, the side buttons have metal covers. This makes the buttons much easier to find and use. The metal feels nice. The case helps just a bit with the fingerprint reader. The cutouts for the camera, reader, and flash modules are precise. The framing around the fingerprint reader makes it easier to find and use quickly by feel. What I like most about the case is its minimalist approach. It's as thin as possible, hardly adding to the phone's already-big footprint. It is available in black, gray, red, or blue. The Alcantara case may be really appealing from a design perspective, but it doesn't add a whole lot of actual protection. The case itself doesn't get marked or scratched up. The plastic material is very resilient, far tougher than leather. 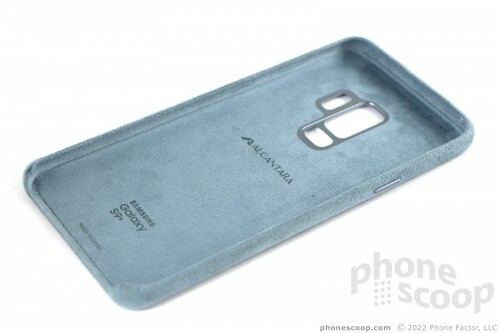 I can attest to the longevity of the material, as the Alcantara case I use on the Note8 is fully six months old and it still doesn't have a mark on it. Samsung doesn't make any claims as to the toughness of the case. I dropped the phone from waist height onto wooden floors and onto my deck, but I fear dropping it on concrete or asphalt may still result in damage. As noted, the majority of the bottom edge of the case is exposed. This worries me, as dropping the phone onto the bottom edge is more likely to result in damage. 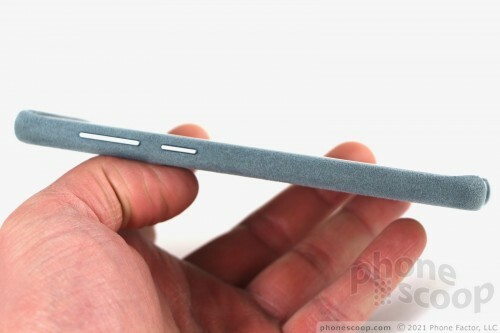 A limitation to the ultra-thin design is very little material between the phone and whatever you drop it onto. I think the Alcantara case will save you from some minor drops, but not all. 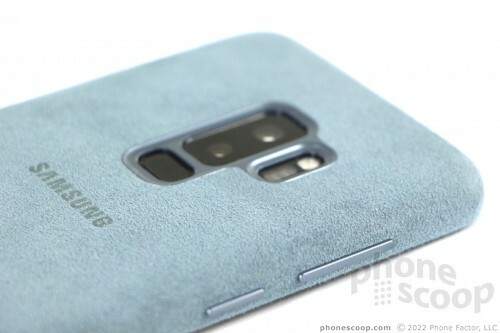 More than anything else, the case will prevent the Galaxy S9+ from getting scratched up. It easily protects the glass from everyday wear and tear that might result in grooves, scratches, or other defacements. Further, the grippy nature of the suede-like material means you're far likely to drop the phone in the first place. If you want to actually protect the phone from significant abuse, there are more rugged cases available. Given how little the Alcantara case staves off significant damage from drops, I wish it were a little cheaper. The case costs $50, or about the same amount you'd spend on a case from OtterBox or UAG. However, ultra protection isn't the real goal here. The Alcantara case adds a bit style to your phone while making it less slippery and more apt to come away from minor drops intact. It may not be the most protective case for the Galaxy S9+, but it is one of the most stylish and is pleasing to use day in and day out.